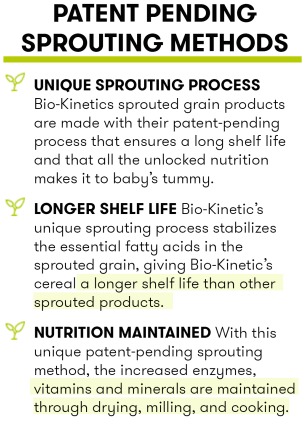 Bio-Kinetics Organic Sprouted Baby Cereal provides pure, wholesome goodness for your little one! All the nutrients have been awakened and maintained, thus the need not to add foreign vitamins or minerals. 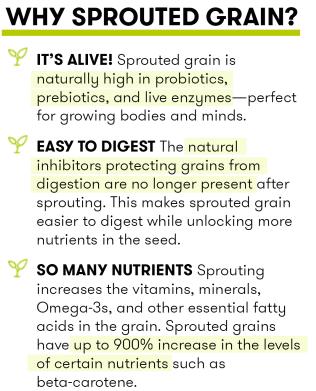 Prior to sprouting, nutrients are locked up in the dormant seed. 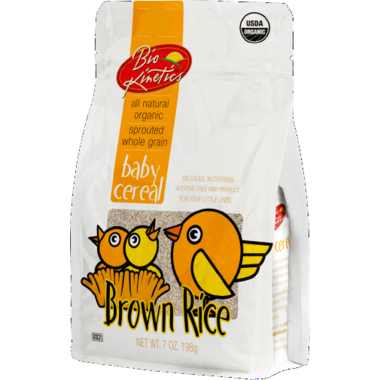 Bio-Kinetic baby cereal is sprouted so the nutrients that were locked up are now made available and expounded and are in a form that is gentle on the digestive system. Nothing is as precious as your little ones well being, so all their baby cereals are packaged in BPA free convenient pouches and made in the USA. 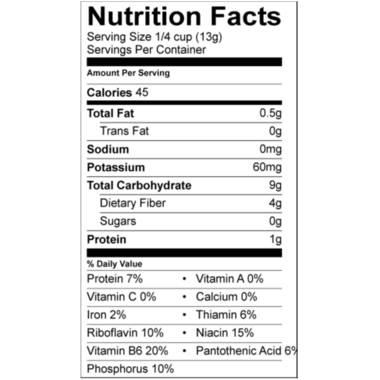 INGREDIENTS: Organic Sprouted Brown Rice Flakes.